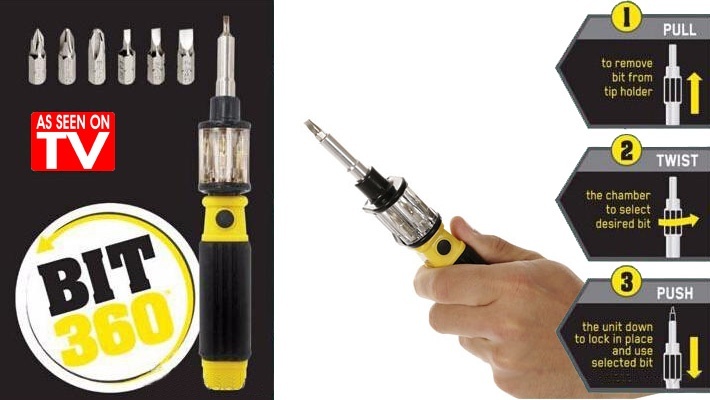 Bit 360 is the revolutionary 6-in-1 screwdriver where all you do is slide, twist and lock the right bit for the perfect fit every time. The secret is the quick change chamber, that revolves 360 degrees with each bit securely inside. 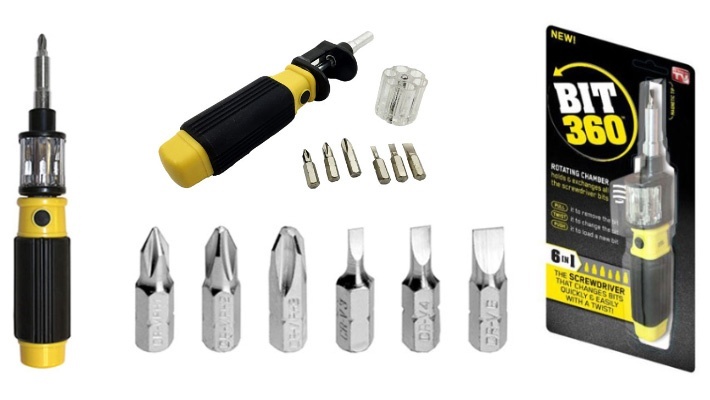 Discard all your conventional tools and benefit from a 60% discount on the one and only Bit 360 6-in-1 Screwdriver, for $5.99 instead of $15.